The Search for The Ultimate Margarita! Don’t tell my wife, but I’ve been in love with another lady for almost 20 years. She’s a tasty little Latina and I can always find her when I need a little sip. Truth be told, my wife totally knows. She actually enjoys this little lady as well! 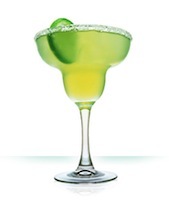 Of course, I’m talking about the Margarita, one of the most popular cocktails in the world. My name is Marcel Brown. By day I’m a mild-mannered technology consultant. By night (or sometimes afternoon) I’m a Margarita fan. So I’ve combined technology and Margaritas to make this web site. Why do I love the Margarita? Let me count the ways. Perhaps some of it has to do with my Latin blood. It may have been destiny. But it probably has more to do with the unique combination of sweet, citrus, and tequila flavors. One night while having dinner with my wife, our conversation steered towards my long-standing wish to find the best Margarita in town. It would be tough, I know, to taste-test every Margarita in the entire city of St. Louis. But oh, what a worthy goal. She suggested that I should write a blog about it. And thus, this site was born. Yes, it is my mission to sample a Margarita at every single restaurant, bar, and well … anyplace that offers me one, to be honest. I will be giving my critique and rating for any Margaritas I get to enjoy along with any other comments I have about the establishment. I will probably talk a lot about food, because what goes better with a Margarita than food? Basically, it’s my blog and I can write anything I want. To be clear, I have no formal training in mixology or Margarita-ology or anything like that. Also, I’m not a tequila connoisseur, so my apologies to those who are. I’m not looking for the best tequila. I’m looking for the best Margarita. I like what I like and you’ll all deal with it, for better or worse. Of course, I will need your help with this. Comments are always welcome on my opinions, but I really need your help finding where you think the best Margaritas are served. I live near St. Louis, so certainly recommendations from that area are needed. But information from other cities are welcome, because I just might travel there some day. And when I do travel to a city, I will certainly let everyone know so I can sample the best of what that area has to offer. So join me now – and together may we find the ultimate margarita! Salud!